Do you have an idea for a new and novel product or service that you believe will be in great demand and make you rich? Millions of entrepreneurial-spirited people like you are imagining this same scenario at this very moment. For over 50 years, I have observed that most entrepreneurs and inventors tend to focus more on developing and refining their ideas and ignore the market/customer side of the equation. 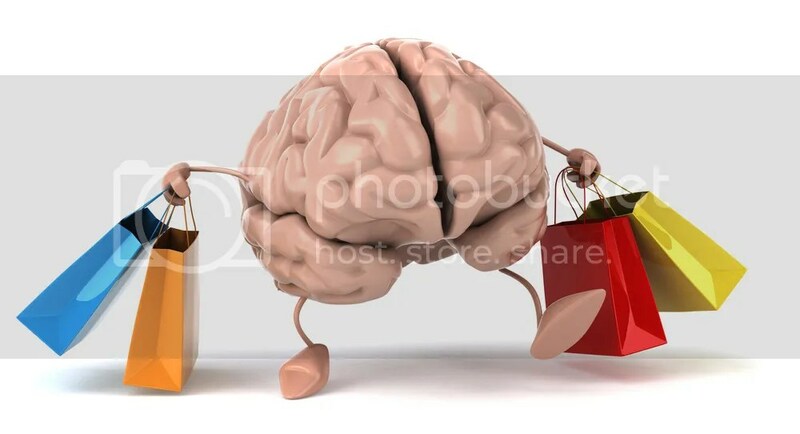 Neuromarketing principles and practices bridge the gap between concept and marketplace success. Continued refinements of your offering before market research and beta testing will never get your idea to market. Entrepreneurs have equal or higher probability of success of getting their ideas off the ground than established organizations with money, technology, customers and people resources. You have the passion and nothing to lose. You are more flexible, resourceful and adaptable. Implementing these four neuromarketing principles will leapfrog you forward on the pathway to living your dream. The process involves focusing your time and energies on the customer, using practical neuroscience principles and practices. All too often, we see value in something and assume others will see it too. The U.S. Mint coined the Susan B. Anthony silver dollar in 1979 – 1981 and again in 1999. It was the most unpopular coin in U.S. history. Men and women alike did not want to carry the bulky and heavy coin in their pockets and purses. The bottom line was that there was no need for the product. Early focus group testing with a small sample size would have revealed this glaring truth before wasting tax payer money. 2. Many decisions are made on the emotional level. Do you remember the “pet rock” craze in 1975 -1976? The packaging was a cardboard box with breathing holes and the “pet” was placed on a straw bed. Even though the shelf life was short, the inventor sold several million “pet rocks” and became a millionaire within a few years. The popularity was driven by customer emotional needs rather than logical physical and mental needs. It’s important to consider the emotional component of your offering, as this often tilts the scale toward a buying decision. Practices: Explore all levels of appeal and benefits through the eyes of your potential customer. When presenting your idea, focus on “what it does” rather than “what it is” or “how and why it works.” The customer is mostly interested in the value proposition and the value/price ratio. Learn how well your solution is aligned with the customer’s “pain points” and needs. Determine if your potential customer has experience with alternative solutions from potential competitors. 3. Pricing is proportional to value. Pricing a new product or service, particularly when there are no competitive benchmarks, can be a daunting and difficult task. To get started, recognize that pricing is proportional to the perceived value of your offering. Your costs do not enter the pricing picture in the mind’s-eye of the customer. They only care about the value proposition and price. View the sales process as an exchange of the customer’s money for your solution to their problems. Practices: Since you can’t lose what you don’t have, and your offering is not yet a “household name,” I suggest you enter into a mind-set of experimentation. Build your “price points” around the context of your value proposition and “brand promise.” Then, test the validity of what you have learned with micro marketing campaigns. “Think globally and act locally” is the operative phrase. Keep experimenting in different test markets until you have observable metrics that validate your research. Return to product/service enhancement, only if it is absolutely necessary. 4. Trust creates more sales. It’s human nature for people to gravitate toward individuals and organizations they trust. Success is almost guaranteed when you genuinely care about your customer’s quality-of-life. Your focus is providing valued solutions to customer problems to make their life easier and better. Practices: Show you care about your customers. Always find a way to thank every customer. Demonstrate empathy and understanding of their situation and needs. Ask them questions and solicit their ideas. Use emails, blogs, newsletters and teleconferences to provide support information, testimonials and announce new and improved products. Live your “brand promise;” it’s your motto and mantra. Your customers will come back to you and refer you because you have stayed in touch, built trust and kept your promise. Are you an entrepreneur or contemplating making the leap? When you know your strengths, you can leverage them for maximum effect and fill-in the gaps with the strengths of your support people. Performing work that isn’t aligned with your strengths is more difficult, frustrating, stressful, not to mention, no fun at all! Besides, you know how important it is to use your available time wisely. 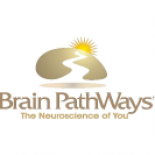 Your personalized Brain PathWays report gives you practical neuroscience tools, based on your brain strengths to “be the best you can be.” Click to purchase your Brain PathWays online self-assessment and download your report today. This entry was posted on July 27, 2012 by brainpathways in Uncategorized and tagged business, Entrepreneur, marketing, neuromarketing, neuroscience, Practical Neuroscience.